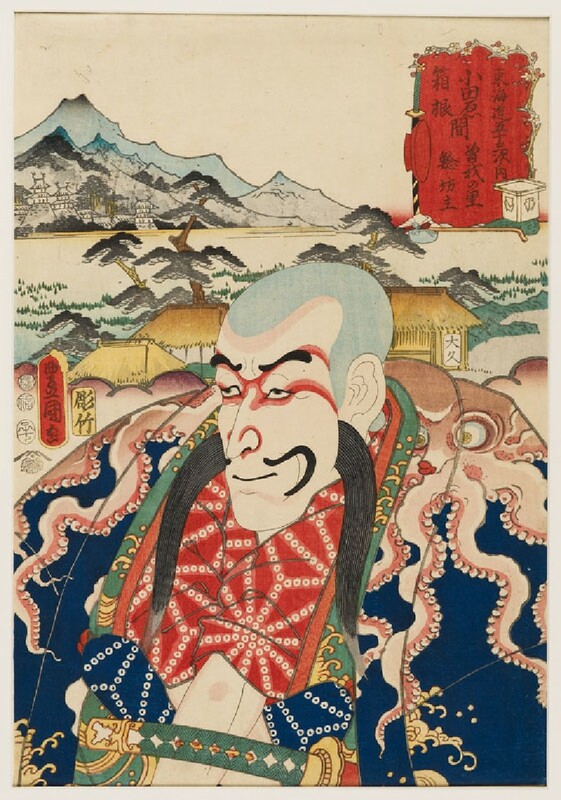 The Shibaraku scene is one of the most popular pieces in the kabuki repertoire. A scene of around fifty minutes, Shibaraku is not a complete play, but a short drama inserted between full plays to provide variety. The plot centres around a warrior hero who intervenes just as an evil villain is about to kill some innocent people. The ‘Catfish Priest’ (so named for his long sideburns that resemble a catfish's whiskers) is one of the villain’s henchmen, who tries to persuade the hero to leave.